Detroit Mercy knows there are fewer opportunities for traditional coding and coding-related roles in Health Information Management and Technology because the governance of health information is now global. That’s why our curriculum focuses on building skills that match the future needs of the industry. In our mobile society, personnel, patients and data are increasingly crossing international boundaries and HIMT professionals need global skills for the effective governance and security of health information and data. We build alumni with the knowledge and skills of how healthcare business, data systems and health information operate independently and within the global network of healthcare. The Baccalaureate degree in Health Information Management and Technology at the University of Detroit Mercy is accredited by the Commission on Accreditation for Health Informatics and Information Management (CAHIIM). 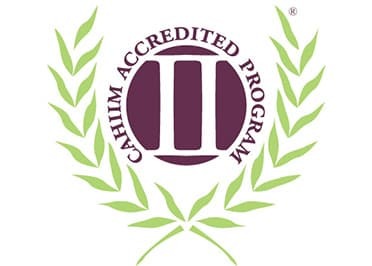 CAHIIM is a globally recognized accreditation organization for Health Informatics and Health Information Management education programs which ensures the development of a workforce that meets the challenges of an information-intensive environment and its impact on global health. CAHIIM accreditation allows Detroit Mercy graduates eligibility to apply and take the Registered Health Information Administrator (RHIA) examination in their last term of study or after graduation. 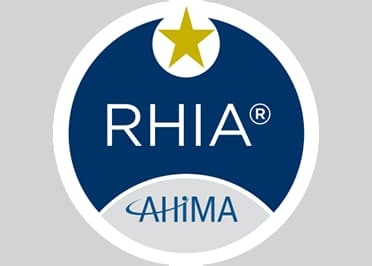 The RHIA credential is a globally recognized credential administered through the American Health Information Management Association (AHIMA), a member of the International Federation of Health Information Management Associations (IFHIMA). Job opportunities for RHIAs exist in multiple settings throughout the healthcare industry. These include the continuum of care delivery organizations, including hospitals, multispecialty clinics and physician practices, long-term care, mental health, and other ambulatory care settings. Detroit Mercy is a values-based organization; values and ethics are very important for future caretakers of the Electronic Health Record. Few schools in Michigan offer this program, and Detroit Mercy is conveniently located in southeast Michigan. Students begin taking HIMT core classes during their first semester. Actual HIMT Classes (not core curriculum) are online. Offers a service learning/project-based internship experience. Your professors (and your classmates) will know your name. ; The size of the program allows for a high level of personal interaction with excellent faculty to create a supportive environment for your personal development. Small class sizes and accessible faculty ensure a very high level of engagement with our students. American Academy of Professional Coders (AAPC) Certified Professional Coder (CPC) exam. The vision of the Health Information Management and Technology program at the University of Detroit Mercy is to produce globally prepared leaders in the health information management profession who are able to transform, interpret and administer healthcare data to improve healthcare delivery and patient safety. To prepare students to organize and manage healthcare data, perform quality assessment and performance improvement and apply the principles of organizational and human resources management to health information technology. To prepare students with the knowledge, skills and characteristics needed to successfully earn the Registered Health Information Management Administrator credential. I chose the HIM program at Detroit Mercy because of the broad range of specialties within health care where I believe that I can truly make a difference.